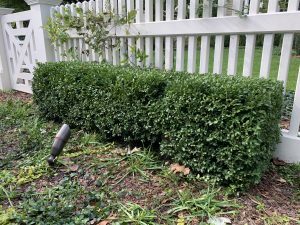 I love my boxwoods, and with over 500 boxwoods on my property, you can definitely note that Rosebrook Gardens embraces the beauty of this lush green evergreen in a very big way. After all, you cannot have a classic English Garden without a boxwood parterre garden, boxwood topiaries and of course, the classic low hedge. It takes a village and although I do all my gardening and planting, I have some simple rules when it comes to my garden chores. One: If I can carry it I can plant it. That said, I have the pleasure of having some excellent resources and service providers. 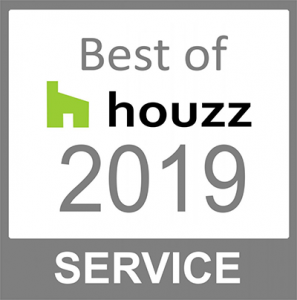 I know the most aMARzing Arborist – Ron from Connecticut Arborist, and for my garden I trust Mike from Straight Line Landscaping. And I use the very talented and meticulous boxwood trimmer, Thomas McAuliffe, for my evergreens! He’s known as the Boxwood Whisperer, which makes fits perfectly. Yesterday was boxwood trimming and feeding day, and Tom spent the day at Rosebrook Gardens, doing his magic. 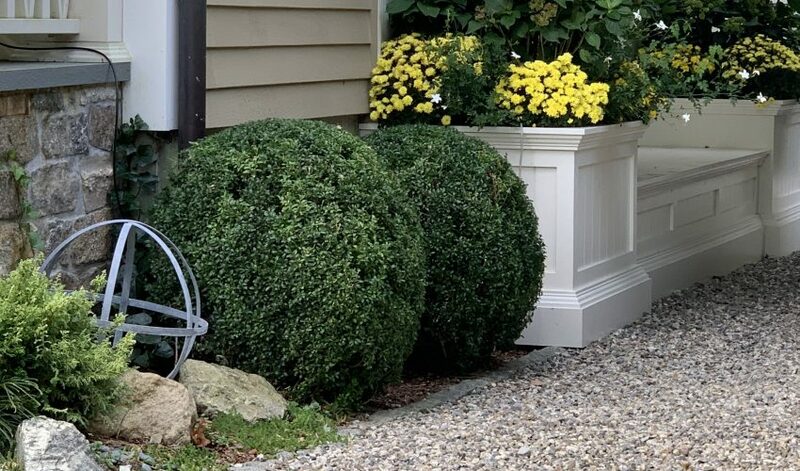 I saw the results after just one day of his skillful work – perfectly shaped boxwoods that offer a regal punctuation in the garden. It was far better than my multiple days spent, and messy cleanup of yesterday. He did it all by hand; with a tarp to catch the branches, he and his assistant gracefully took to the boxwoods and pruned each one like conductors waving batons. It was a form of art and something to see! I am blessed to have these resources and always so delighted to welcome all who visit the beauty of Rosebrook Gardens for their enjoyment. It’s a place to learn and experience–I, however, call this place home and as its steward, I feel so proud to love and adore this amazing place. Tom might whisper to my boxwoods, but Rosebrook Gardens has always had my ear. There’s no place like home and that’s something I need never whisper!